The Bubbles After Dark screen saver runs on Windows XP, Vista, and 7! Just drop the executable file in your Windows directory and use the Windows screen saver settings to select and configure Bubbles After Dark. It will keep you entertained for minutes! You can also download the stand-alone version of Bubbles. 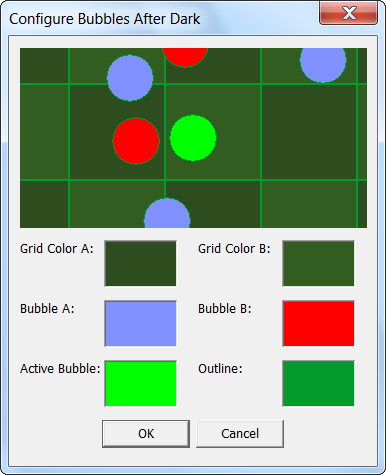 And, finally, there is a 3D version of Bubbles that uses OpenGL.